Book club members commented on their favorite selections of the year. Our Sof Book Group relishes being together to discuss great literature, great stories and learning that enhance our Jewish knowledge and experiences. My favorite, and by that I mean, the most powerful reading experiences for 2018 are Art Spiegelman’s Maus I & II and Michael Chabon’s Moonglow. The sheer creativity and rich construction of each author’s approach, the weight of the stories, the many comical and poignant passages made these two reads unforgettable and highly recommended. Spiegelman took the trail blazing Pulitzer-Prize winning Graphic Novel approach to the Holocaust and Chabon took the conceit of his dying grandfather’s memoir that is actually a novel (or it isn’t). Both brought me closer to understanding the costs of war and surviving it; the actual functioning of the Auschwitz concentration camp, as well as the power of honest communication and family dynamics in modern times. 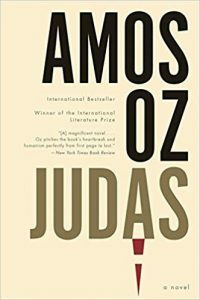 Maus sat on our bookshelf for 25 years, as I was afraid the impact would be too much to bear, of its stark narrative of surviving Auschwitz. Don’t wait if you haven’t read it. I particularly liked Yiddish: A Nation of Words. This should be a reference book – something that people can use to look up the meaning of Yiddish words when they hear an expression they haven’t heard, or they’ve forgotten. I enjoyed Pumpkinflowers: A Soldier’s Story. This is the story of a disillusioned Israeli solider who told the truth about his experience in the IDF. The clashes along the border with Lebanon meant unnecessary death. The heartbreak of parents losing their children led a solider to question everything he’d been taught before. When the librarian directed me to the young adult section for Maus, I thought she was mistaken. When I beheld two books in comic strip format, I was convinced she had erred in her selection. Reluctantly, I began reading Maus I that evening, and finished both books before the end of the night. A comic book about the Holocaust may seem incongruous, but I was spellbound by this clever, powerful allegory/memoir/novel. Maus chronicles the survival of the author’s father during the Holocaust, and their present-day strained relationship. The use of black and white panels heightens the impact of this dark period in history; the comic strip format evokes more vivid and more graphic images than simple words alone. The use of animals to depict different nationalities and ethnicities, such as cats for Nazis and mice for Jews, is innovative and ingenious on many levels. My favorite book of the Year was Moonglow by Michael Chabon. The character of Michael’s grandfather was unforgettable. He was a man on the cusp of greatness and fame, only to miss out because he insisted on trying to fix broken people. Chabon shows us how some things that are broken are not meant to be fixed. This is a fascinating story of one man’s Jewish family and their attempts at survival in America in the years after World War II. It is cultural, historic, sardonic and Yiddish all at once. Simply put, it’s a great read. Sof Book Club discussions are always very insightful. 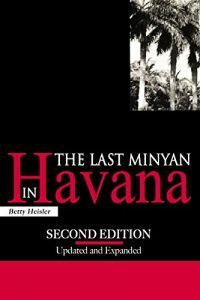 In a recent meeting, we reviewed a fairly prosaic book titled The Last Minyan in Havana. In addition to deconstructing and reconstructing the book itself at a high level by all members of the club, outside information was introduced. Sid Goldstein offered that 12 Jews were saved on the ill-fated ship St. Louis through the intervention of Eleanor Roosevelt. Eleanor wrote to her husband, President Franklin Roosevelt, urging him to save the 12 by allowing them into the United States. He complied even though he was under great pressure not to do so. More than 900 other Jews aboard that ship had to return to Germany to face the Holocaust. Sally Morgan shared firsthand stories of her family living in Key West, and her husband, US Navy Captain Joseph Morgan, going on maneuvers in the Caribbean during the Cuban revolution period. I spoke about my recent visit to Cuba including a visit to the world-famous Mafia nightclub, El Tropicana. These are just some examples of the value-added experience that Sof Book Club members receive during their gatherings. A standout in our book club year was Miriam Weinstein’s Yiddish, a Nation of Words. Well-researched, it was lightly and engagingly written. I was charmed, sent copies as gifts, and I recommend it to Sofers. « The Social Event of the Year!